In my last time around, I argued that Mary Poppins Returns is not a retread of the original film but a second, rhyming verse. Today I will concede that it is still not as good as the first. Mary Poppins Returns never quite achieves the wit or the heart of its classic forerunner. 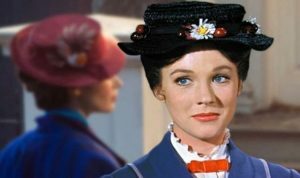 The pathos of Mary Poppins is deeper and truer even while its tragedies are so much slighter; the film makes more of a father’s distraction than its sequel does of a mother’s death. It is worth examining why. Paradoxically enough, Mary Poppins achieves its power because, and not in spite of, the fact that it scales its tragedy to the every day. For a mother to die while her children are still small is the tragedy of a lifetime; for a man to forget what is really important is the daily weakness of humanity. The sadness of Mary Poppins is the sadness of forgetting, of misunderstanding and being misunderstood, of suddenly realizing how time flies away. It’s not high tragedy. But it’s near to everyone’s life. The afflictions of the Banks family in Mary Poppins are more universal than those of the new Banks family in Mary Poppins Returns. But more important than the films’ basic ideas is their development. The writers of the first movie were more skilled and subtle in handling their material. Notice how gradual and inarguable is George Banks’ character progression: comically oblivious at the beginning; unexpectedly sympathetic in the second act, a grown-up with no one to look after him in his cage; and finally, at the climax, he becomes the very heart of the story, in his despair at his shattered ambitions and the courage of his lonely walk through the nighttime streets of London. Nothing in Mary Poppins Returns entirely equals the power of that walk, or of Bert’s gentle admonition of both father and children. The film is not without its own power. There are moments of real tenderness in it, anchored around the family’s grief. Yet what resolution the story offers is artificial, and as such it neither satisfies nor finds its way into real depths. When the film attempts to create comfort in the wake of death, it simply pulls the standard Hollywood pieties off the shelf. Now the essence of the Hollywood creed on death – at least when Hollywood wants to be heartwarming – is that the dead are not really gone. This is another way of saying that death is not death. It always feels so false. 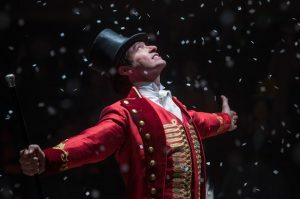 Mary Poppins Returns presents a great tragedy and denies that it’s really as bad as all that. The earlier movie, in its better wisdom, took a lighter grief and told the truth, and through the truth it found power. Storytellers like to go for the heart-strings. All heart-strings are fair game, even the easy and obvious ones. Just don’t underestimate the potential of small griefs and mundane troubles. 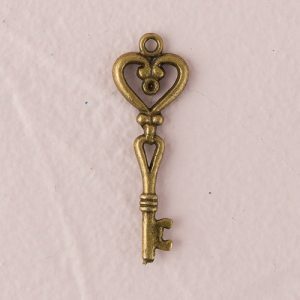 And whatever grief you choose, remember that the key to its power lies in telling the truth about it. If you pay attention to Hollywood today, you have probably noticed that western civilization is in the latter stages of spiritual and intellectual degeneration. You will also have noticed, by the by, that most of Hollywood’s output these days consists of (a) franchise movies, (b) movies based on pre-existing cultural artifacts, such as books, comics, other movies, theme park rides, and decades-old Disney cartoons, and (c) franchise movies based on pre-existing cultural artifacts like books, comics, etc. The percentage of such derivative works in Hollywood’s modern oeuvre has been estimated as high as 99 percent, but it might be as low as 96 percent. So Hollywood is not terribly original these days. But the reliance on franchise is not a phenomenon isolated in Hollywood. The adventuresome reader seeking out a new book by a new author must be careful – careful that he doesn’t end up picking book 3.25 in an eleven-book series, finale coming out next spring. (By the way, decimal books: a thing.) (Decimal movies, too.) It is possible, with sequels and spin-offs and a faithful public, to make an entire career of one story. A standalone book is an increasingly rare bird. Movie studios favor the franchise for the same reason that book publishers do: money. It must be admitted that this is a sensible reason, particularly in the case of movie studios. When you’re pouring out money in the tens of millions for a single film, you want a sure thing. How do you know people will like your newest project? Well – they liked the last one, didn’t they? It is a well-worn axiom that the sequel is never quite as good, but that does not prevent the sequel from inheriting the audience of its predecessor. That truth brings us to another significant fact: People do not seem to easily tire of the franchise. Publishers and studios are looking for a profit, and audiences give it to them. 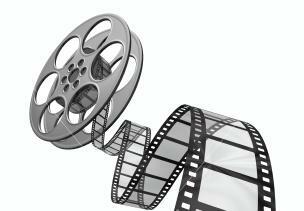 Diminishing quality ultimately ends in diminishing financial returns, perhaps even in the death of the franchise – but along that road a great deal of money is given up to mediocre and even poor installments. Franchises depend on the powerful attraction of effective stories. You never want your favorite story to end, and the characters who have inspired more emotion than half of the real people you know – it is hard to let them go. The desire for the story to go on, the curious attachment to non-existent people, sustains the franchise. And yet maybe it all is a little too much. Beyond the bankruptcy of individual franchises, we have been trained to a certain insouciance regarding the endless sprawl of connected films. Of course they’re making a sequel. There is, too, a downgrading of regard for those who seem too inclined to revisit old ideas; Pixar toppled from the creative heights when it discovered the sequel, and no one counts on Pixar’s annual offering being one of the film highlights of the year anymore. This, then, is what I would like to know: Does the paying public want more standalones and more variety, or are we content with franchises as long as they are well-maintained? Amid all the sequels Pixar has been rattling off the assembly line, last year’s Coco comes as something of a relief: original and visually brilliant, funny and tender in the good old Pixar way. Disney can’t handle two living parents; Pixar can handle a whole clan, in the capable, work-roughened hands of a fiery matriarch. Despite its strengths and its appeal, Coco is undermined by the vision it presents of the afterlife. The vision unfolds along with the story. Our first glimpse is a gorgeous cityscape made of color and lights – the Land of the Dead, shimmering beyond the mortal world. The unearthly appearance of the Land of the Dead is quickly juxtaposed by the bureaucratic procedures that surround entering and leaving it. The dead themselves hustle about on humdrum activities – working, traveling, eating and drinking, going to talent shows and arguing with customer service. They do much what they did in life, only they do it without skin. On some level, this is a pleasing incongruity; on another, it is a letdown. Why go to all the trouble to die if life just goes on the same? It is revealed that death resembles life in still another way: You are going to die, this time the final death. All these skeletons will die of being forgotten. As they and their stories pass out of the memories of the living, they will be afflicted with spasms of weakness and pain before they finally collapse into dust. Some people will be kept alive in the Land of the Dead for years upon years, as long as their stories are still told among the living. Others must have a very short stay. Here we begin to sight the marrow-deep injustice of the vision, but it comes clear only later. There is no justice in the end. None at all. Your career, bred in the abuse of others, may be halted in life, but you will just resume it in death. Sell your soul to get this world and the next will be thrown in, too. Meanwhile, the unwanted, the unloved, the outcast and the forgotten – they are forever the losers. All the inequities of this life are transferred into the next. Indeed, new inequities are created by the fact that the dead can visit the living only through the possession and display of a material object. This opens, too, avenues of revenge, ways that the living can spite the dead and be sure they will know it. Think of it: Even after you die, they can still get you. All of this would be bearable if we could imagine that the Land of the Dead was only a stopping-place on the way to some other destination. The movie throws a bone in this direction, one skeleton shrugging that no one knows what happens after the final death. But the fact that they call it final hints at what they think. The story’s happy ending – Now you get to live as a skeleton in the Land of the Dead indefinitely! Pop the champagne! – makes it clear that no one has a better end in mind. Coco presents an appalling vision of the afterlife. It would be easier to take if the movie knew it was appalling, but it doesn’t. Coco’s dreary afterlife drags down the whole story with a faint sense of depression, a subtle distaste. It’s well enough to imagine that the Land of the Dead is, but to imagine that it is all there is – that is the fatal flaw. You’ve all heard of a boy and his dog. This is the story of a boy and his donkey. It’s an old, mangy donkey, tattered ears and scruffy fur, but in his eyes it’s good enough for a king’s stable. He loves it, you see. But his father tells him they must sell it, because it’s too old to earn its keep and they can’t afford an animal that doesn’t. So the boy takes his donkey to the city, trying to find a good man who will buy it. Comes the answer: “No, no, little boy, I will not buy!” And those are the nice people. 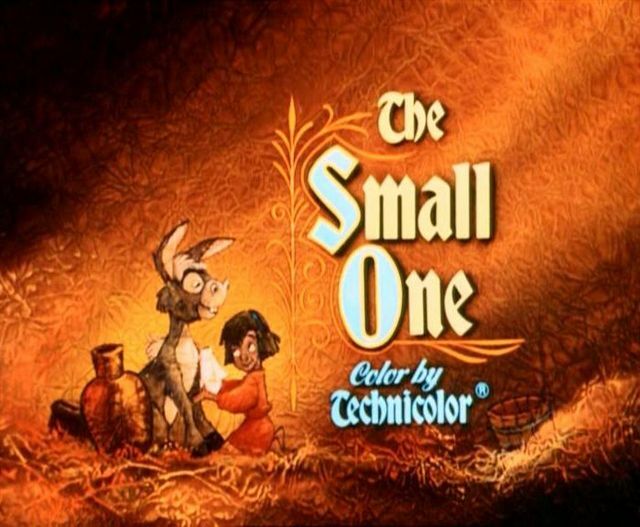 Small One, one of the movies of my childhood, is a simple and sweet film. That it never got on the networks’ annual run of Christmas specials, but Frosty the Snowman did, is part of what’s wrong with the world. (Not that there’s anything wrong with Frosty! I liked it when I was six.) Small One‘s run-time is 26 minutes, and the only character who has a name is the donkey. This does not feel like a lack (though it can make review-writing a bit awkward). The story does not need names. It’s too directly human, engaging the heart in broad plainness. The animation is old-fashioned and charming. 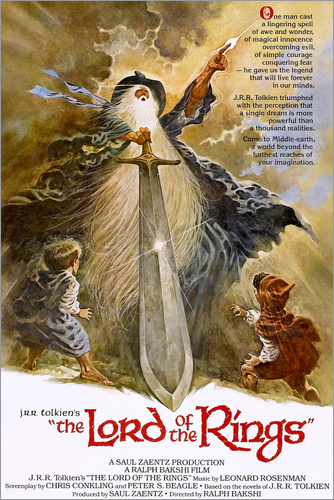 There are lovely touches – moonlight falling into the stable, golden clouds in a pale blue sky, the illustrations that formed the background of the credits. There are clever touches – the forbidding atmosphere of the tanner’s shop, silhouettes seen through colored tent curtains, the soldier who seems, as the boy looks up at him, to be seven feet tall. So with the music. From the tender song in the credits, to the plaintive chorus, “Small One for sale,” there is a great deal of loveliness here. There is also a good dose of cleverness in the bankers’ song. “Clink clink, clank clank, give your money to the bank, telling little stories you can trust” – as they shift their eyes so slyly. Small One is a children’s story artfully told. That’s why its maturity surprised me. The father tells his boy that Small One must be sold. There’s no rebellion, no escape. The happy ending that the film seeks is that the boy will be able to sell his donkey to a kind man. We never doubt how much he loves Small One; that love drives him to the end of the story – in trying to find a good home for Small One, not in trying to keep him. The end is beautiful. Softly, lightly, it steps into the radiance of Christmas. We see the stranger who buys Small One … a glimpse of travelers on the road … the stable and the Star of Bethlehem, its long rays a shining Cross between heaven and earth. In 1991, Disney released a magnificent version of the classic fairy tale “Beauty and the Beast”. Then they released another version. Disney’s decision to remake Beauty and the Beast as a live-action film was always questionable for two reasons. One, the story is intrinsically suited to animation, and two, the original film is so close to perfection that it leaves little room for remaking. But all things are possible, and these hurdles might have been jumped. One of the special powers of animation is that it can make things whimsical or agreeable that, realistically, are not. Beauty and the Beast needs this power, both for the Beast and his servants. The living household objects, rendered realistic in the new version, are all exquisite. They also have about an ounce of the charm and vibrancy of their animated counterparts. Worse, they make you think that it would be kind of creepy if your coffee cup had eyes and your dresser liked to pick out your outfits. The change from animation to live-action would not matter so much – if more significant changes had deflected comparison. And here we come to the second pitfall, which the new Beauty and the Beast plunges right into: Why remake a movie that was already nearly perfect? To make it different – not necessarily better but different in a true and interesting way. That is the successful way to remake a great film. There are two ways to fail – make it too much the same and make it different in a bad way. 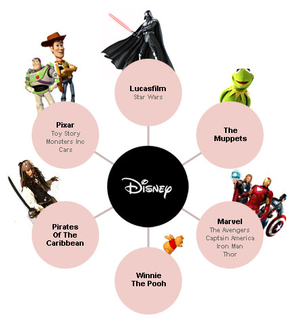 Disney manages both. Beauty and the Beast reproduces its predecessor’s plot, its songs, and its most iconic shots and scenes. To its credit, the film does innovate in smaller matters. To its discredit, it innovates badly. It reshuffles events and characterization in ways that are often puzzling and invariably damaging. Its original ideas are slight and usually poor. The Beast is a much reduced figure in this second outing. He is less of a beast, for one: physically smaller, more tame in temperament, more human in appearance, lacking the mouth full of fangs and the animalistic power and agility of the old Beast. The first Beast literally roared; the second huffs and puffs. The first Beast had a violent, mercurial temper; the second is mostly just dyspeptic. The first Beast had sudden shifts into realization and regret; the second … no. Gaston receives a kinder, gentler, and ultimately scrambled characterization. His buffoonery and presumption are sanded down significantly, and his worst moments in the first half of the film are excised. Then, as if suddenly in the throes of some psychotic break, he resorts to murder. After that, Gaston loses all initiative. His maneuver to clap Maurice into the insane asylum is no longer a sinister scheme to blackmail Belle into marriage; neither does he incite the mob against the Beast out of jealousy and offended pride. Both acts are merely defensive and desperate attempts to hide his crime. The servants-turned-household-objects fare worst of all. Their warm (even enthusiastic!) welcome of Maurice is eliminated, and it matters because their welcome of Belle is so suspect. They adopt the peculiar habit of declaring selfish motivations for acts of apparent kindness. (Why does Lumiere – it’s not the Beast in this version – get Belle out of the dungeon? So he can kiss the maid again!) They sing “Be Our Guest” not because Belle wanders into the kitchen saying she’s hungry but because they realize she’s planning an escape. When Belle flees, doors slam and lock, the dog rears up and barks at her – it looks like a jail break, and they’re the prison guards. Incompetent ones, but still. The movie has its good points. The technical skill is obvious, and the film treats us to some beautiful vistas. The re-imagining of Maurice and Gaston has merit, whatever the flaws in execution. There is talent in the cast. But the new Beauty and the Beast is inevitably heir to the old one, and it neither breaks from its legacy nor upholds it. Fans of the movie say that there are many versions of Beauty and the Beast, and that’s true. 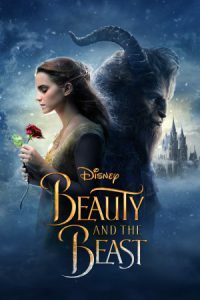 But the precise trouble is that this movie is not a version of Beauty and the Beast, the fairy tale; it’s a version of Beauty and the Beast (1991) – and a worse one. Beauty and the Beast (2017) is so notably like Beauty and the Beast (1991), and yet so notably inferior, that there is hardly even a point. Oddly enough, the Alliance’s assassination plot is more forgivable than its ruthless manipulation of Jyn into aiding the killing of her own father. Indeed, the portrayal of the Alliance is surprisingly dark, with little sense of higher ideals or aspirations to relieve it. Cassian, the principal Rebel character, brutally murders his own informant. The Rebels who ally with Jyn are declared to have done terrible things in their fight against the Empire. The Alliance’s leadership rejects a chance to destroy the Death Star through cowardice and sheer stupidity. 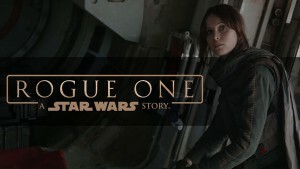 The sad truth is that Rogue One goes rogue against the Rebel Alliance. Rogue One’s primary failing is that it takes too little interest in its own characters. All of them suffer some degree of neglect. Cassian is the most developed of the lot, by virtue of having a cause and experiencing inner conflict, but he’s also a joyless character, consumed by a crusade against the Empire for reasons that are only hinted at. Why the ex-Imperial pilot defected from the Empire is a mystery, as is why he volunteered for the desperate last mission. Similarly, Chirrut and his friend, what’s-his-name – you know who I mean, the one with the fancy gun – intervene once and then just sort of tag along for the rest of the movie.